The following is what I perceive the casual San Diego sports fan’s reaction is to the Padres Opening Day lineup. 1) Norf!!! Scrappy guy that hustles. A great utility player… probably couldn’t start on any other lineup in the league. 2) Miguel? No. Melky? No. Asdrubal? No. Oh, Everth. Decent fielder, steals a lot of bases… probably couldn’t start on any other lineup in the league. 3) Yonder Alonso. I hope he’s as good as he was during a 9 game span in Spring Training. 4) Carlos Quentin, there’s a guy that can be awesome if he stays healthy. Hope he does. 5) JERKO!!!! He’s the future of the team, right? The Gyorko and Headley show? But he’s batting fifth? FIFTH? I didn’t see that one coming. 6) Hundley. Good for him. Good dude. But all I can think about is Grandal being a cheater. 7) Sir Cameron. Great center fielder. Hopefully his bat will wake up and he won’t be batting seventh all year. 8) Ransom? You don’t eff with Mel Gibson. No clue why this movie batting 8th for the Padres. 9) Volquez. Awesome, the Padres have got a decent number 3 starter as their number 1. Sweet. 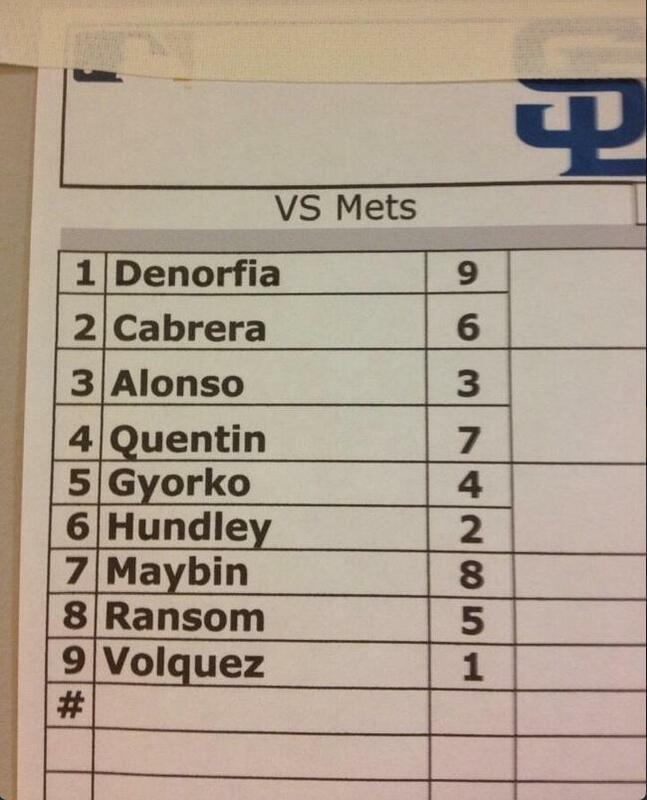 This entry was posted in Baseball, MLB and tagged Padres, padres opening day lineup. Bookmark the permalink.